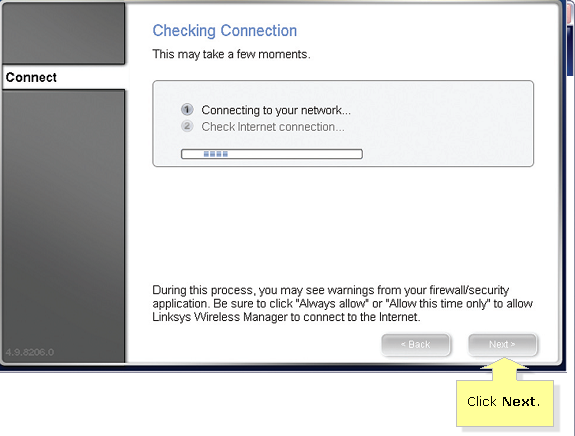 This article will explain how to connect to a wireless network using the Linksys Wireless Manager. On the Connect to a Wireless Network screen, locate the name of your wireless network in the list. 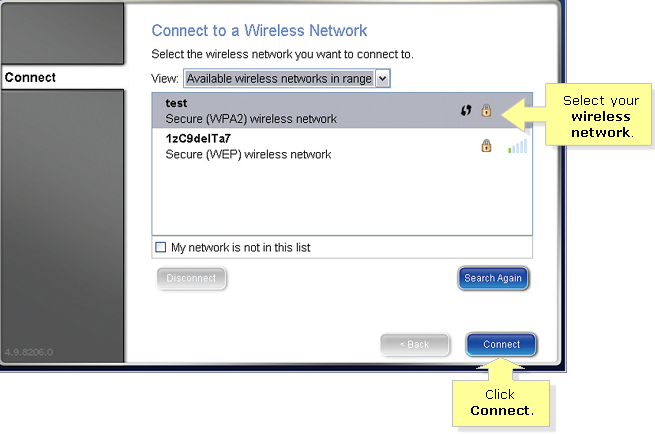 NOTE: If your wireless network is not in the list, click here to learn How to Connect to a Hidden Wireless Network. If your wireless network supports Wi-Fi Protected Setup™ (WPS) , click here to learn How to Connect Using Wi-Fi Protected Setup™ (WPS). Select your wireless network (SSID) and click Connect. 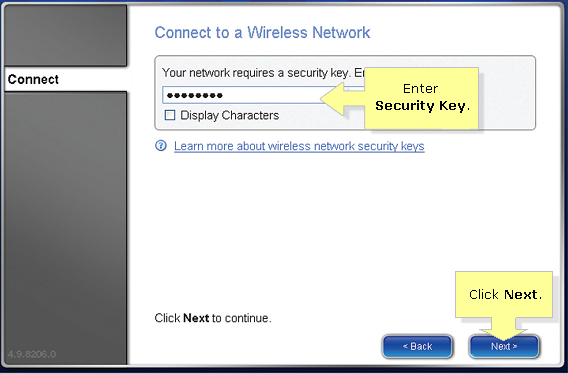 Enter the Security Key or Network Key and click Next. 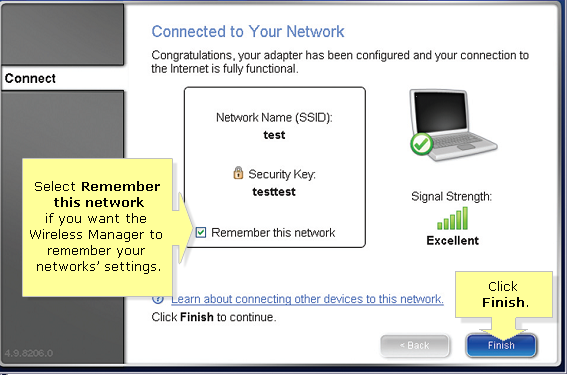 On the Checking Connection screen, wait for the Wireless Manager to establish the wireless connection and click Next. Check the Remember this network checkbox if you want the Wireless Manager to remember your network settings then click Finish. NOTE: Saving a network’s settings will make it easier to reconnect to the network in the future. You should now be able to connect to your wireless network. NOTE: To connect using Windows Wireless Zero Configuration, click here.